Light Commerical Vehicle tippers like the Citroën Relay Ready to Run Tipper are an essential tool for many in sectors such as light construction and horticulture as they offer a flexible means of carrying a variety of loads and equipment in an open body. As well as unloading manually, a tipper can also discharge a bulk load to the rear by tipping the body – raising it at the front so that the load is discharged at the rear of the vehicle. 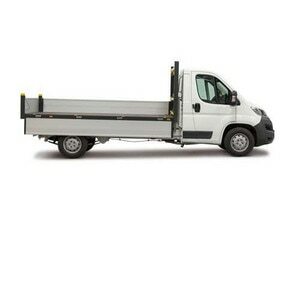 The Ready to Run Tipper is available in two versions, either the L2 Single Cab or L3 Crew Cab. Single cab models are fitted with a dual passenger seat as standard, while the Crew Cab variant can provide seating for the driver and six passengers. Four individual seats make up the second row. The payload ranges from 1,033kg* for Crew Cab models to 1,222kg* for single cab models. At the front of the body, the bulkhead/gantry serves several purposes. It is constructed from three load lashing rails with high capacity load securing eyes, so a variety of loads can be secured to it easily. It is also fitted with an embossed steel panel to protect cab occupants from a shifting load, while also providing rearward visibility. The platform of the Ready to Run Tipper is manufactured from high tensile steel to resist denting from bulk loads whilst also allowing the vehicle to be as light and robust as possible. To prevent corrosion and ensure durability, all parts of the body platform are treated with protective coatings. The load deck is free from surface projections or crevices which could become clogged with bulk loads. Instead, the load restraint lashing rings are fitted to a perimeter rail, keeping the load deck clear. To help contain weight and maximise payload, the body sideboards are crafted from double-skinned aluminium, with a smooth surface finish making them suitable for customer livery. The full-width steel tailboard features side mounted top and bottom locks to ensure they do not interfere with the tipping discharge area. The two sets of locks allow the tailboard to swing open for tipping either from the top or bottom depending on the type of load. 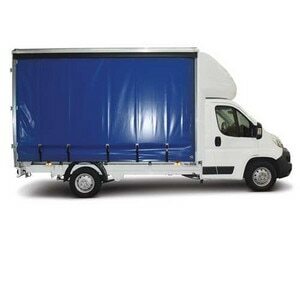 Tailboard finish includes full “Chapter 8” high-visibility markings and wire stays support it during loading to ensure that the rear lights remain visible. 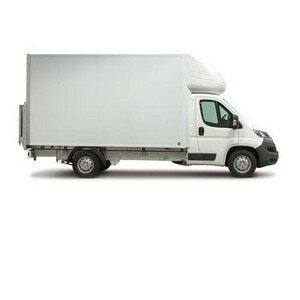 The tailboard also incorporates a long-load lashing rail in its top edge as standard. Ready to Run Tippers are equipped with under-floor tipping gear which incorporates overload and hose burst protection. The mechanism is designed to be maintenance free for the life of the vehicle. A manually-operated body prop provides safety support when the body is in the raised position. The tipping gear is operated from a cab-mounted cable remote control. A safety cut-out switch is incorporated in the handset. As with all Citroën converted vehicles the Ready to Run Tipper interior cab comes equipped with lots of useful technolgy and features to make every journey comfortable and practicle. With features such as, 2 USB ports, 13 clever storage spaces and an extendible writing panel, Citroën Tipper creates an optimal working environment for you and your business’s needs. Available as an option, Citroën Tipper can come equipped with Grip Control technology. This feature makes it easier to drive the vehicle over different terrains including, snow, mud and sand by optimising the traction of the front wheels. The driver’s seat is adjustable for rake, reach and height and includes a lumbar adjustment and arm rest as standard equipment. There are two USB ports in the cabin of Citroën converted vehicles. One is connected to the radio and can recharge mobile devices, while the other allows recharging of a second device. With 13 different storage spaces in Citroën Tipper including a lockable glove box, so you can take everything you need for a days work. Citroën Tipper's gear lever is located on the dashboard for additional comfort. Citroën Tipper comes with a 3-year/100,000 mile warranty covering the whole vehicle, 10-year parts support commitment and is designed to meet European standards so you can drive with peace of mind. To find out more, contact your local business centre and discover all of the benefits of a Citroën converted vehicle.